What started off as another skull began to morph and grow and render until suddenly there was an entire skull head zombie cat floating on the page. 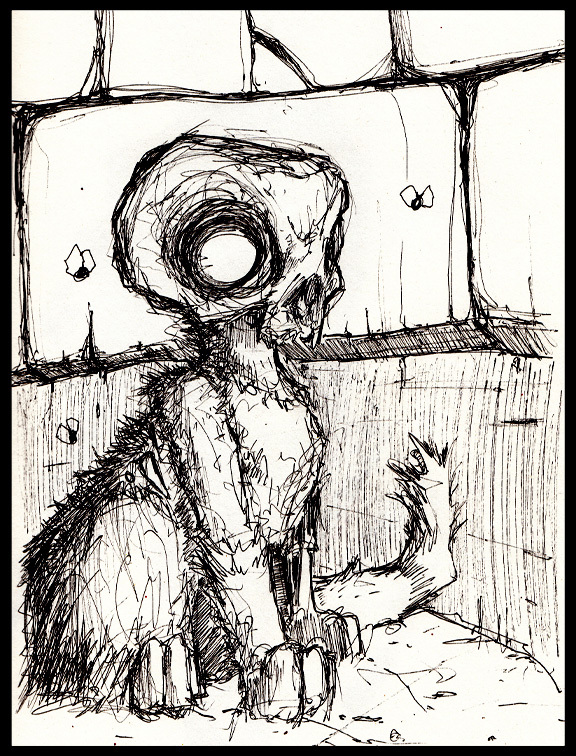 The lack of background didn't bother the zombie cat much, just taking things in stride, enjoying the moment of solitude. I, the human, had other thoughts and started to fill in the negative space and create more of the dismal and decaying world which the zombie cats inhabit. What would you name this putrid puss? This is PRINT #12 and it is available as a hand colored or black and white print for just $25, or 3 for $50, standard shipping included. It is available until Feb. 9 2018.